Enter your Shopify store name. Note that the end part of your store name is already filled and you need to enter only the first part. Read and agree to terms. This is a warning, that you are about to install unofficial plugin. 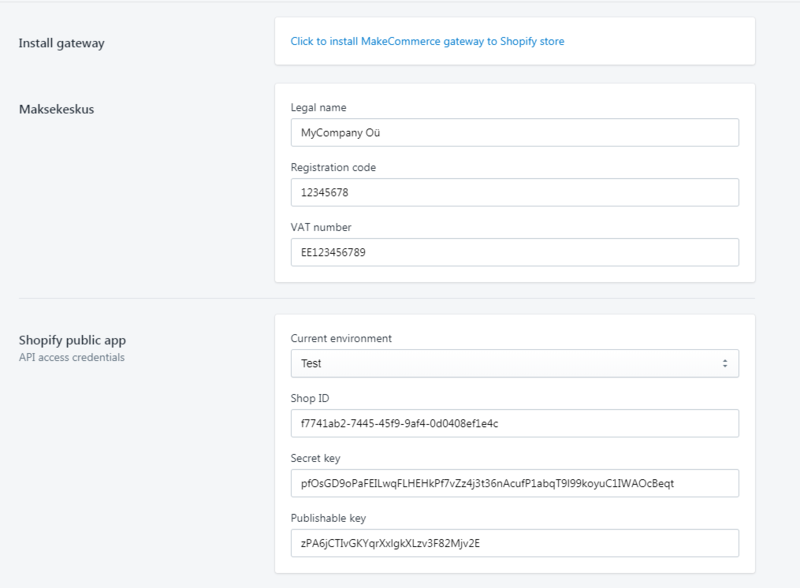 Fill the fields with your company data and with your Makecommerce store ID and keys. For test shop, you must order new keys from Makecommerce support, the public test keys won’t work. 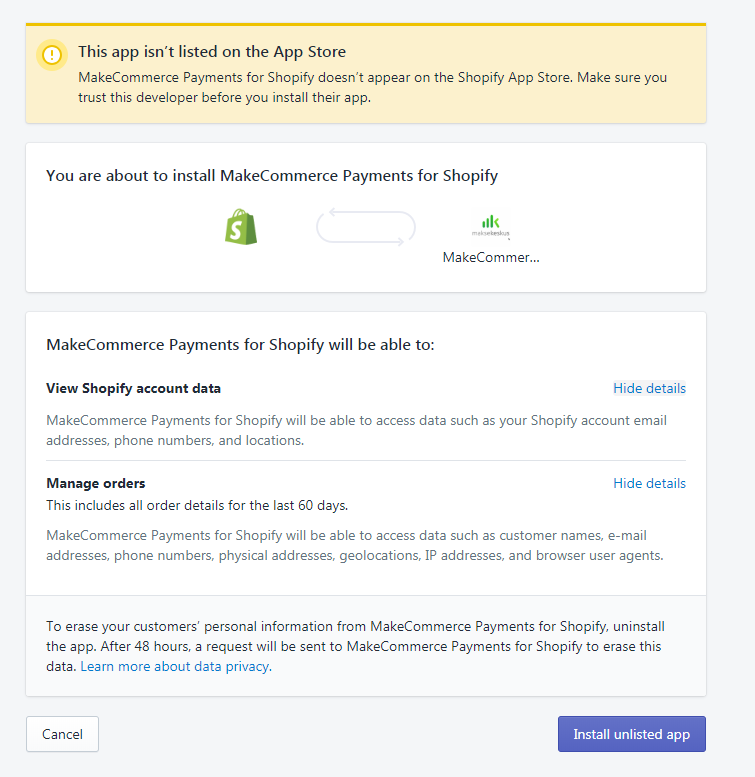 After saving the data, please press the “Click to install Makecommerce gateway to Shopify store” link at the top of the page. Enter your shop name and your Makecommerce Secret key. NB! 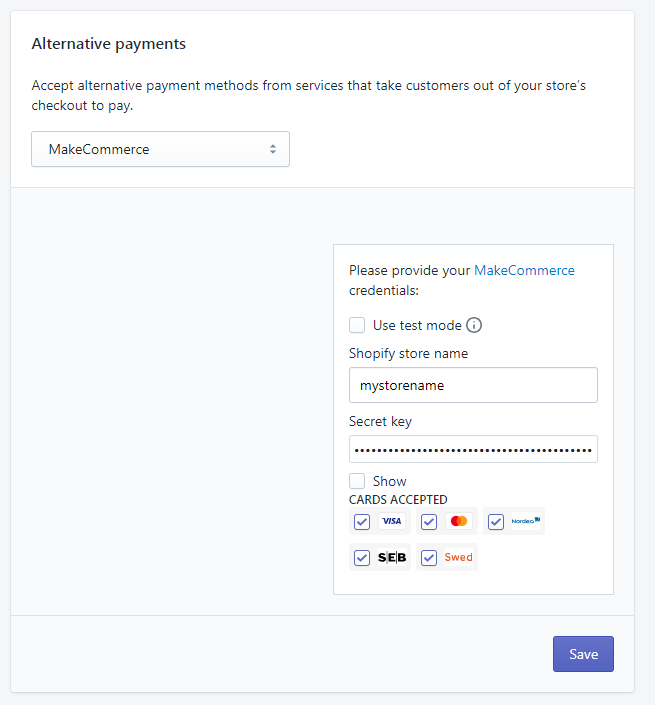 The Shopify “Use test mode” works only with credit card payments but MakeCommerce payments would still work with live banks and real money.